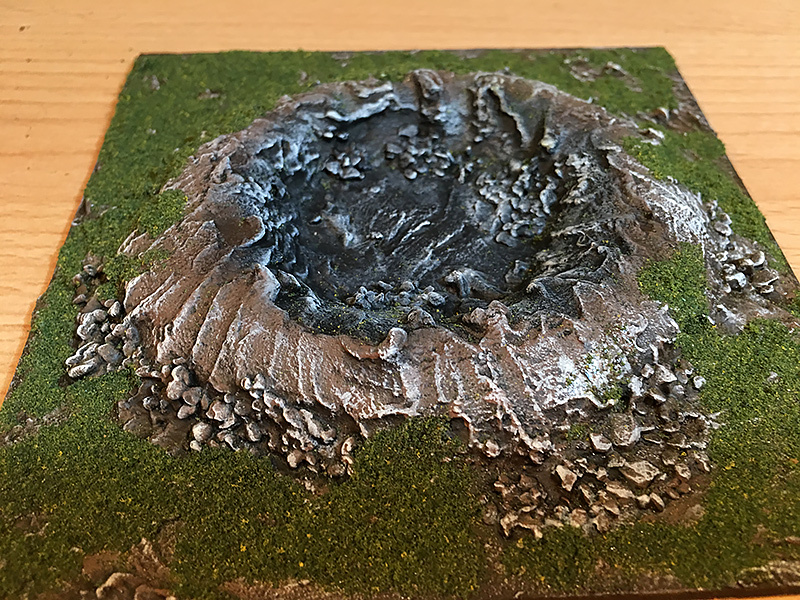 Both ideas come from my “Setting the Scene” winter wargame terrain book. 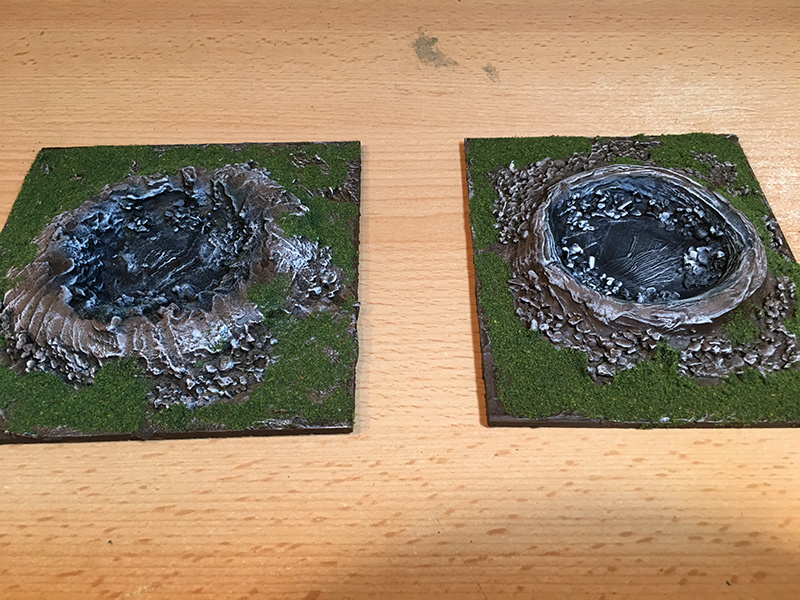 I started with some bomb craters done in two styles. Both are based on cork tiles. The first was made by cutting out rings in insulation foam and the second was made by making a ring from ‘Das’ air-drying clay. Both are glued to the bases with a hot glue gun. Once dried the bases are given a coating of filler and then some large-grain sand is added. Once dry, the craters are painted black and the outside painted brown. I then add a black in wash and then highlight with light brown and then white. I then added my favourite flock. 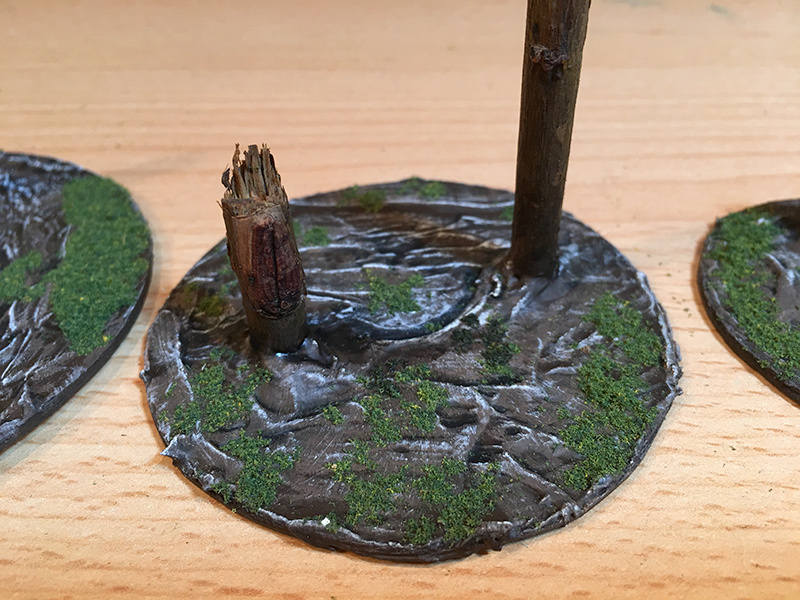 The bombed trees are made with willow branches obtained from my local Poundland. 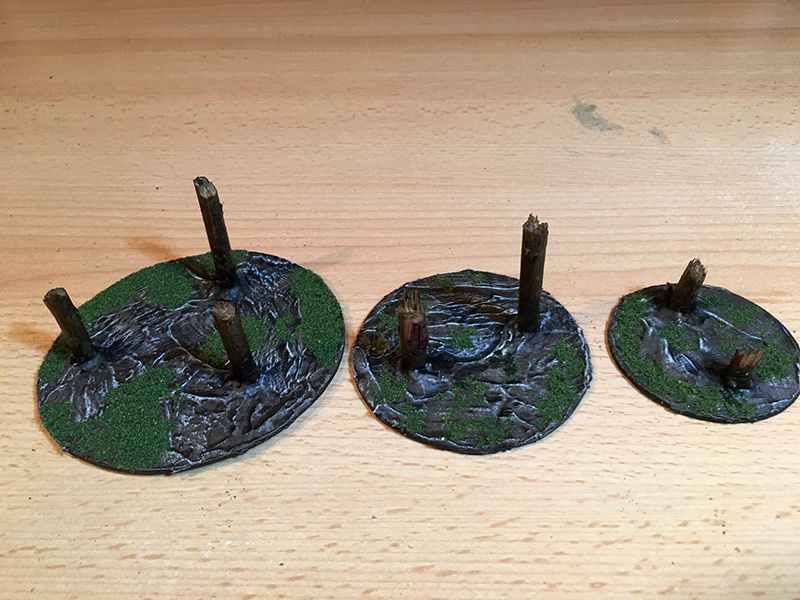 I snap them off and hot-glue them to mounting board bases. 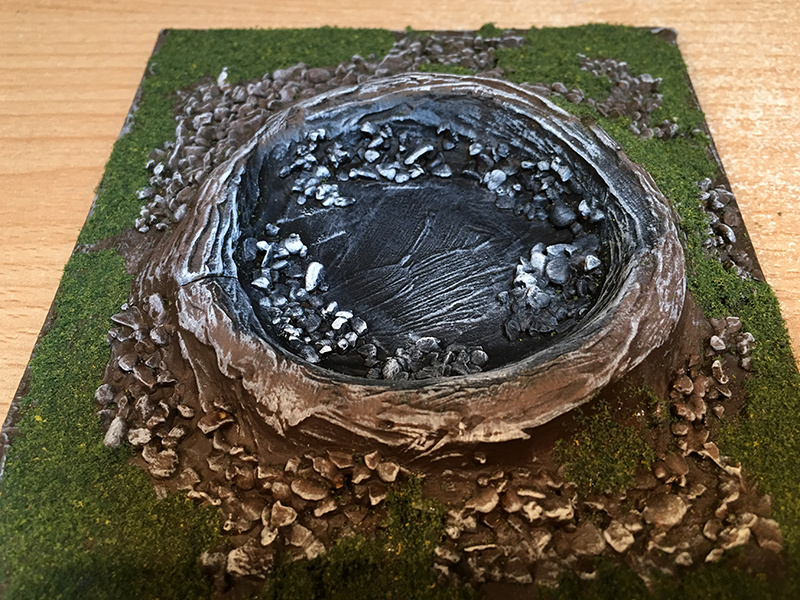 I then add a layer of filler and paint up in the same style as the craters. You can see how they turn out in the video below.